If your mangoes are not sweet enough, you can choose to add some honey to your preference :) As mine was already very sweet, I did not really add much. Remember, honey is a very good antioxidant ingredient and can help prevent cancer. Add all your ingredients into your blender and start blending away until it achieves a smooth and creamy texture! 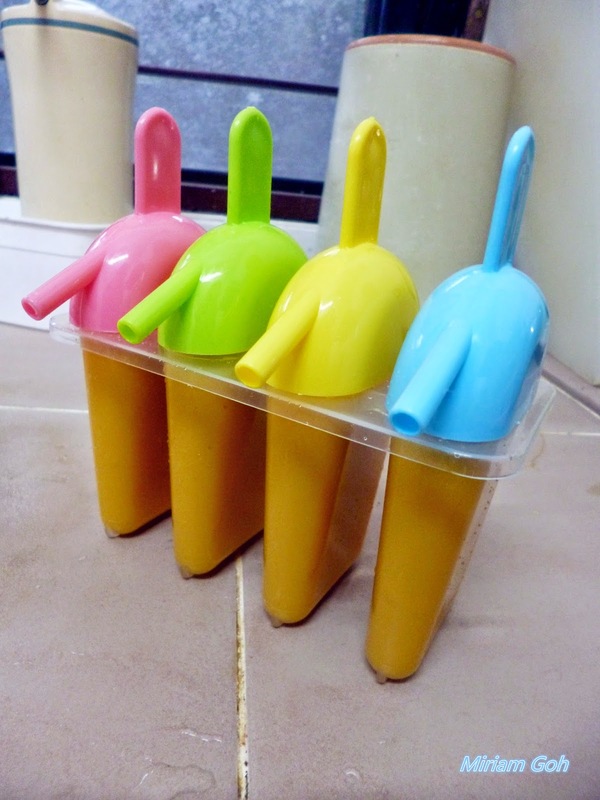 You can actually drink the blended mango mixture as a mango smoothie or pour it into your moulds to make your popsicles. 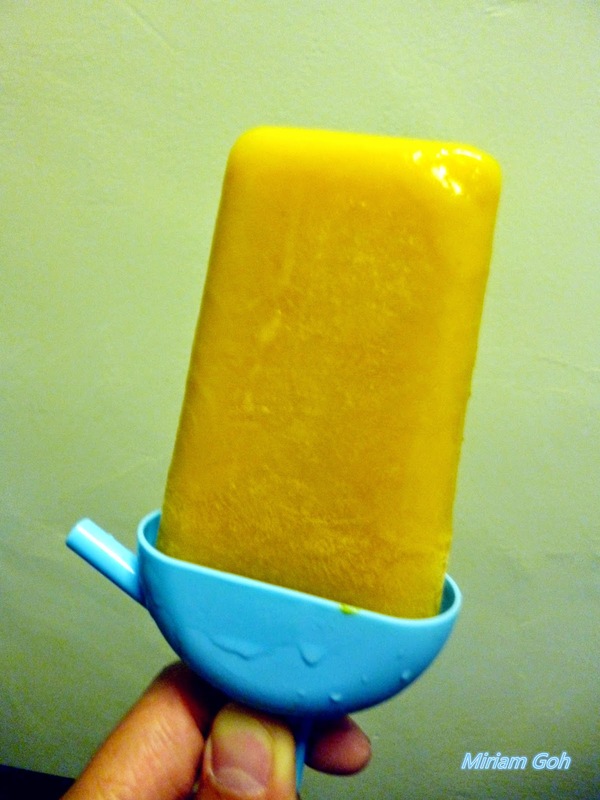 If you don't have a popsicle mould, don't worry. You can pour your mixture into an ice-cream machine if you have one and turn it into a tub of yummy goodness! For those who don't have an ice-cream machine, don't fret! 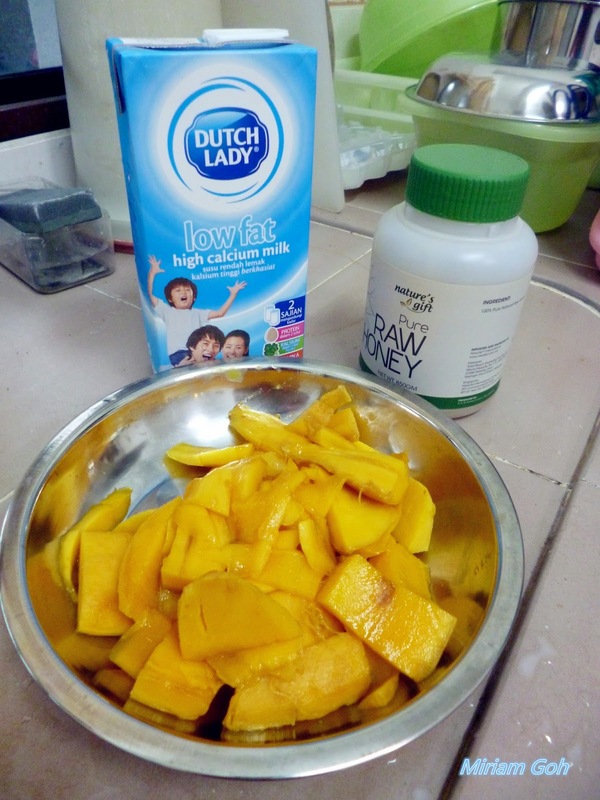 Here is how I made my mango ice-cream! 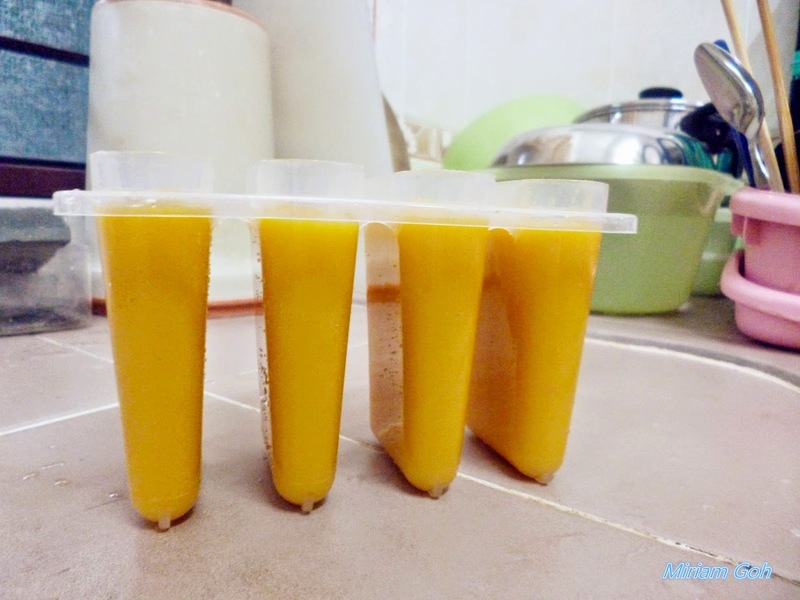 For me, I poured my extra remaining mango mixture into a yogurt tub and placed it into the freezer to set slightly. This will take roughly one hour. 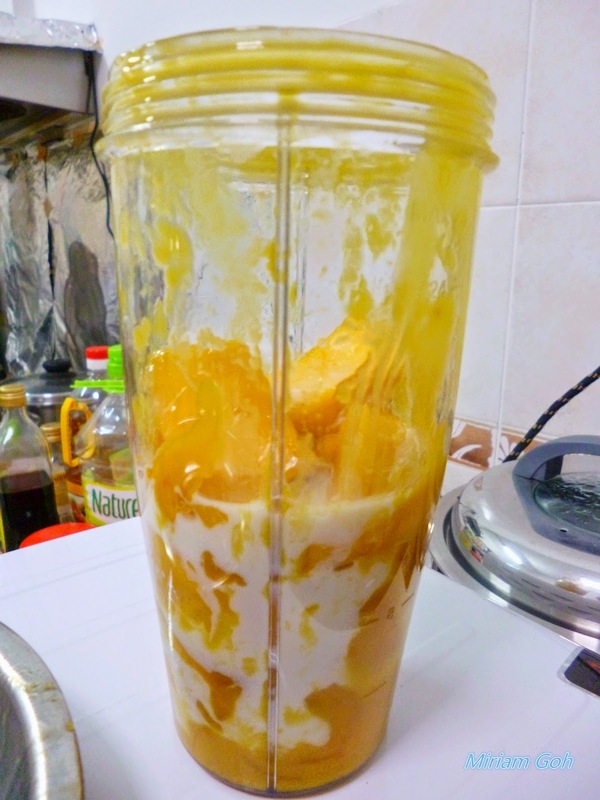 After one hour, take the tub out and pour it back into your blended to blend. 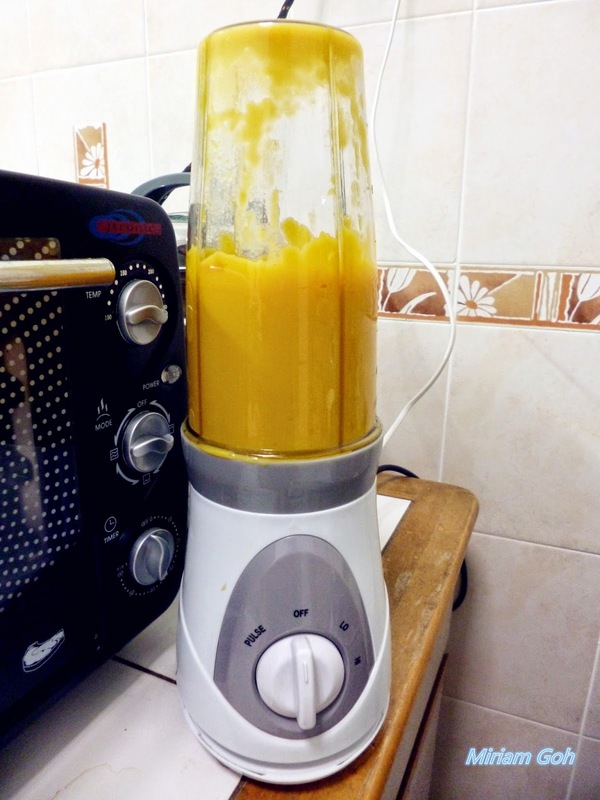 Then place back the mixture into the freezer to set :) Repeat this process for 3 to 4 times to get your creamy mango ice-cream! The reason why we need to keep on taking it out of the freezer to smash it up is to break up all the ice crystals formed and to give you a smoother ice-cream texture. You can change the recipe however you like it. Try it with yogurt, other fruits like strawberries, bananas or any fruit you want! No more feeling guilty after snacking down this yummy dessert! Low fat, low sugar and low calories! Make your own yummy dessert anytime you want especially on a hot summer day! Those look delicious, and I love your tip about taking it out and re-blending to prevent ice crystal build up (i always have that problem). I can't wait to try these when I get back home and have an actual freezer, unlike I have cooped up in my dorm room. I'm also really jealous of your popsicle molds. Those handles are awesome. I love how they have a straw!